Former GSK Safety & Pharmacovigilance Leader will help guide integration of products and technologies to expand the innovative Commonwealth Vigilance Workbench (CVW). Commonwealth Informatics, a leading provider of cloud-based clinical and safety analytics products and services, today announced that Trevor Gibbs, MD, has joined the leadership team in the role of Scientific Advisor. At Commonwealth, Trevor will be working collaboratively with clients and helping to integrate new products, capabilities and services into the innovative Commonwealth Vigilance Workbench (CVW). The CVW is an integrated technology platform which allows medical product developers and regulators to analyze and manage the safety and side effects of therapy interventions using evidence from numerous data sources. Dr. Gibbs has a distinguished background with more than 35 years of medical product development experience. He was formerly head of Global Pharmacovigilance and Product Safety at GlaxoSmithKline (GSK). While at GSK, Trevor was influential in driving innovation and automation of case processing and bringing in new capabilities and systems for drug safety evaluation and management. He spearheaded an effort to integrate disparate systems and data sources required for more effective drug safety evaluation and management. 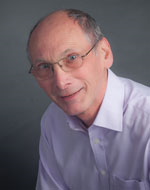 Trevor is an active pharmaceutical industry contributor and consultant and has served on the External Advisory Board of the IMI PROTECT project and has contributed to the work of several CIOMS working groups. A key challenge in analyzing the safety of new medical products is integrating medical evidence from numerous data sources. Dr. Gibbs is an industry leader helping to transform drug safety systems and processes to better meet the needs of the many stakeholders that consume safety analyses. "I am excited about the opportunity to help Commonwealth create a next generation of vigilance products that builds on the latest scientific research and technologies to improve the efficiency and effectiveness of safety analysis for researchers, regulators, physicians and patients around the world,” he commented. “The guidance and expertise that Trevor brings in developing new systems and methods to accumulate evidence for assessing and monitoring the safety of new medicines is an invaluable resource for the Commonwealth team and clients,” said Geoff Gordon, President and Founder of Commonwealth Informatics. Commonwealth Informatics is a global provider of cloud-based analytics products and services for the life sciences industry. Medical product developers, healthcare providers and government agencies use Commonwealth analytics to answer complex clinical and safety questions quickly and accurately. The experienced Commonwealth team is a trusted collaborator with regulators, academia, life sciences companies and government agencies to improve the way patient safety data are analyzed. Learn more about the innovative products and services that are helping to improve the speed and accuracy of clinical data analysis at http://www.commoninf.com.